Have a question about our practice or counselling services? Below is a list of commonly asked questions. If your question is not answered here you can give us a call or get in touch through our contact page. Counselling is an engaged and purposeful conversation that helps people discover and create unique outcomes for the problems in their life. In counselling, the person (client) and the counsellor enter into a therapeutic relationship based on trust with the goal of increasing the clients well-being. Counselling is a remarkable process whereby both the counsellor and client work together to re-establish or enhance the individuals well-being. People will experience various outcomes in counselling which may include: deeper insight into their lives, improved life skills, relief from problems, decrease in emotional distress, healthier styles of being in relationships, decreased negative reactions to hurt or historical pain, tools to create positive change, and more. However, it is important to be aware that benefits in counselling accompany hard work outside of the counselling hour. How do I know that I need counselling? Is a problem creating conflict in my relationships? Have I run out of tools for dealing with this problem? Do my friends and family tell me I need to deal with this problem? Do I feel alone in managing this problem? If you answered yes to any of these, now might be the time to seek counselling. Personal fit is important. During your intake appointment, the intake counsellor will explore your current concerns and use this information, along with any preferences you might have, to match you with a specialized counsellor. If at any time you believe that the counsellor you are matched with is not a good fit, feel free to let the intake worker know, and you will be matched with a different counsellor. In addition, you are welcome to look at the individual bios of each counsellor at Terrace Wellness Centre to see if someone seems like a good fit for you. What will I get out of counselling? You will gain a deeper understanding of yourself and your problem. You will acquire tools, gain balance and experience a new enthusiasm for your life. Counselling can contribute to an improved ability to cope with stress and difficult situations and can increase understanding of yourself and others. Counselling sessions are typically 45-50 minutes in length. Does the counsellor keep the information private? 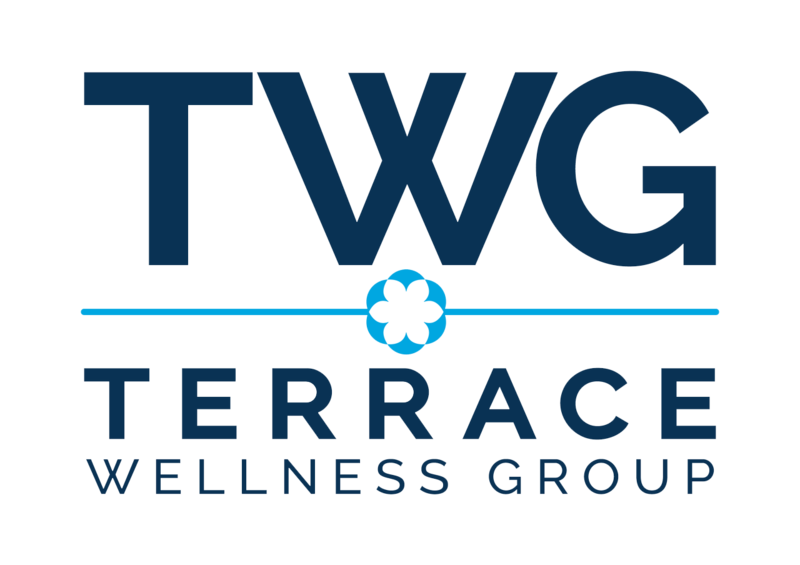 Terrace Wellness Center places a high value on the confidentiality of the information shared by clients. Personal information that you share may be entered into your records in written form and your therapist is the only person who has access to your file. All information is kept confidential within the limits of the law. If for some reason there is a need to disclose your personal information, you will be consulted first and then asked to sign a form authorizing the transfer of the information. 4) If a child or vulnerable adult is being abused or neglected, the authorities may be notified. What are the fees and preferred method of payment? Individual, couples, and family counseling: Each counselling associate determines their own hourly rate. Rates normally range between $120-$150/hour. Terrace aims to provide counselling to those who require it. Terrace provides sliding scale counselling services to persons with lower-income without insurance. Counselling services are provided by Masters-level students who intern as part of their counselling or social work program at University of Ottawa and Carleton University. Student provision of counselling is highly supervised by an experienced registered psychotherapist or social worker. Methods of payment accepted are Visa, MasterCard, debit and cash. Can I use my extended health plan to cover the cost? The majority of employee extended health plans cover counselling expenses. Please check with your provider about your coverage, such as how many sessions are covered per year, service provider credentials required for reimbursement, etc. Please note that we do not bill extended health programs directly. You will be provided with an official receipt at point of payment which you can submit at your discretion. What is the difference between a Registered Counsellor and Psychotherapist, a Registered Social Worker, and a Registered Psychologist? A Registered Counsellor and Psychotherapist (RP) is a registered, licensed professional approved for private practice. An RP will often have a Masters degree in a mental health related field, and provide assessments and therapeutic counselling. A Registered Social Worker (RSW) is a practitioner approved to work in Ontario by the provinces College of Social Workers. Approval from the College indicates that their credentials meet established standards, and that they have made a commitment to a Code of Ethics. A Registered Psychologist is registered professional approved to provide a range of therapeutic and counselling services through private practice. What if my counsellor is not working out for me? A successful counselling experience has to start with a good fit between you and your therapist. If you feel your current counsellor is not working out, you are welcome to see another one of our counsellors. If you wish to change counsellors, we will facilitate the transition to ensure your therapy continues as seamlessly as possible. We uphold a 24 hour cancellation policy. When cancelling an appointment with less than 24 hours before the scheduled appointment, clients agree to pay half of the full rate. Knowledge is Power! We have put a list of the most frequently asked questions regarding Autism Spectrum Disorder, our services, therapy options, and more. If you have any further questions, please contact us. What are some signs my child may have Autism? There are many different early signs that may be recognized as a "red flag" that a child may have Autism Spectrum Disorder. It is important to remember that every person on the Autism Spectrum is different, so not all signs may be observed. However, some common signs have been included in the info-graphic. Click to the image to expand. What should I do if my child has Autism? If you suspect that your child may have Autism Spectrum Disorder, contact your pediatrician, family physician, or psychologist. As a first step, you can take the following screening tool (https://screenourkids.org/) and bring your results to your physician. Applied Behaviour Analysis (ABA) is a science that uses the principles of behaviour to teach new behaviours, change existing behaviours, and decrease undesired behaviours. Therapy using these techniques can be conducted in a 1:1 setting or group setting. Intensive Behavioural Intervention (IBI) uses ABA principles applied in a 1:1 setting, 25+ hours per week. BCBA means Board Certified Behavioral Analyst. Someone who holds this certification can create, develop, and oversee programs and assessments for behavioral therapy for your child, as well as be able to appropriately interpret these results. A BCBA is certified after they attain a post-graduate Masters degree in an applicable field of study, gain 1500+ BCBA-supervised field experience hours, and have passed an examination administered by the BACB. The certification also upholds the individual to a strict code of ethics and continuing education credits. What is the difference between a Senior Therapist and an Instructor Therapist? A Senior Therapist should have or be working towards a masters degree in an applicable field of study and will have 6-12 months experience using ABA principles. A Senior Therapist creates individualized programming and supervises a team of Instructor Therapists in delivering those programs to clients. Instructor Therapists deliver 1:1 and group programming while focusing on monitoring each clients' daily/weekly progress. They are trained extensively on data collection and graphing techniques. What is the difference between center and home-based programs? Which is better? Center-based programs have the child come into the center and have the majority of their therapy conducted at the center in a highly structured, and supervised area. Home-based programs are services that take place in the clients' home while a parent/guardian is present in the home. ABLLS-R stands for the "Assessment of Basic Language and Learning Skills-Revised". It is an assessment used as a curriculum guide and skills tracking system for children with delays. The ABLLS-R contains a task analysis of many of the skills necessary based on the developmental milestones of typical-aged peers. The ABLLS-R provides strategies for analyzing the ABLLS-R scores to determine learning goals and to help with the selection of programming objectives for each individual client. My child is eligible for funding. Can i use the funding at terrace autism therapy? Yes! We are approved to accept Direct Funding Option (DFO) clients, as our programming is supervised by Clinical Supervisors that meet the MCYS requirements for the new Ontario Autism Program (OAP). See the requirements here: OAP Requirements. We will work with your family to create a Behaviour Support Plan with recommendations of service delivery. Knowledge is Power! We have put a list of the most frequently asked questions regarding our services or about Terrace Youth Residential. If you have any further questions, please contact us. What is the per diem? What other services can they access? Terrace Youth Wellness Center offers services such as DBT, psychiatrist, 1-1 counseling and assessments. Our youth have access to the center, for fee. Where do we send our referrals to? Jen Gabriel Chief Operations Officer jgabriel@terraceyouth.ca she can also be reached anytime at 613-805- 0734. If you would like to fax you can also do so 613-831- 9877. No, we have 2 male programs, and 4 females. What are the staffing to client ratio? In our treatment homes the ratio is 1 staff to 4 youth. Do you allow biological family to visit at the home? Yes, absolutely we encourage the youth to maintain those relationships. Staff are there to support throughout. Is there always a staff person on at the home? Yes we have staff 24/7. There is always a awake overnight on. Can youth bring personal belongings? Yes, we encourage the youth to make their room their own. As long as the objects are appropriate and safe we allow it. 4 in Ottawa, 1 in Kingston and 1 in Warkworth. The agency sends their PPAR to us to review, we review the profile and do placement suitability ensuring we are placing the youth in the appropriate home. We reach far beyond our walls when it comes to provision of counselling to those who need it. Although the main counselling centre is located in Kanata, our clinical associates have offices throughout the city. In addition, for those who located outside of the Ottawa-area, we offer a full spectrum of mental health support through our partnership with Snapclarity. This smart device application includes an intake assessment, a treatment plan, self-help supports, and will match you with a registered and highly specialized counselor. Counselling can take place via the app by way of text, talk or video. Our experienced caregivers understand the importance of a 360, individualized approach to care. We offer everything from regular short-term relief for parents to alternative schooling to Group Home or Foster Care Placements.